Evernote is one of the most popular, powerful note taking tools out there. From the web and desktop applications to syncing with phones and tablets, Evernote is a superb source for capturing, keeping, and referencing your thoughts, ideas, and important notes. As an Evernote user for six years, I can attest to how easy it is to let items get cluttered. It certainly is not the fault of the application, because Evernote does provide the necessary features to keep everything nice and neat. 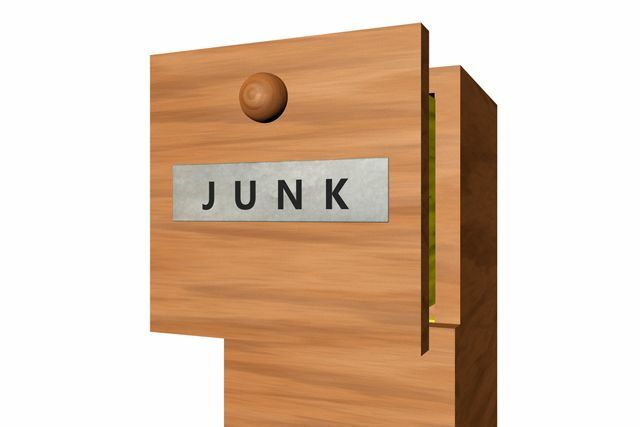 But, we all know that it can become like the junk drawer in your home. You have to clean it out and organize it every so often because items just tend to get thrown into it. It is the same with Evernote, especially for heavy users. So, let’s take a look at some ways to first, clean up the clutter and second, get that mess organized. It is possible that you have entire notebooks full of notes that you no longer need. Start by reviewing those notebooks by opening those that look the most outdated first. For example, if you have a notebook named “Wedding” and you have been divorced for three years, chances are you no longer need that book. But before deleting any notebooks, be sure to take a quick scan through the notes. This is just in case you added a note to a notebook by mistake or actually see a useful one you want to keep. So, you never want to delete the entire book without a review of all the notes. Remember that Evernote offers a wonderful sorting feature for your notebooks. The way your items are sorted is completely up to you and depends on the person. You may like everything in alphabetical order because items are easier to find. Or, you might prefer notebooks sorted by date with your newest ones first because you access them more often. Whatever the case, be sure to use Evernote’s sorting feature for easier overall use. This is also a good time to rename notebooks if the current name does not make precise sense. Consider using Stacks. Evernote Stacks is a feature that allows you to group notebooks with a similar topic which can be very useful. For example, if you have several notebooks for a home renovation projects using one per room, create a Stack to keep them together. You can collapse them for less clutter on the notebook screen and keep all books with a common theme together for easier access. Notebooks are the holders for your notes, so think of them as physical notebooks. You do not want a locker or drawer full of notebooks that each only have one or two notes inside. This makes it harder to find what you need later. 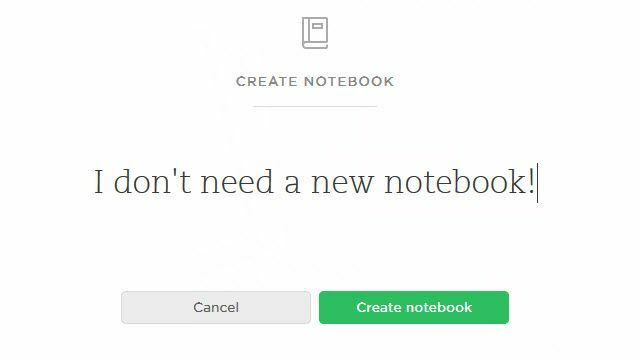 So, do not create a new notebook every time you create a new note. See if you have a spot for that note first and put it where it belongs. This will eliminate some hassle and notebook bloat in the future. The only way to begin cleaning up your notes is by reviewing them. There are two good ways to do this. The first option — start by glancing through your notes, one notebook at a time. It may sound tedious and time-consuming, but in the end you will rid yourself of many unnecessary items. The second option — use your tags for note viewing. As you browse through your list of tags, you may quickly spot that five notes tagged with the name of your previous employer are useless now. Just select the tag to view those notes, confirm they are unnecessary, and delete them all. The point is to eliminate those that you know for certain you no longer need. Short little notes about picking up milk last week or an article idea you used three years ago are those types of easy-to-clean items. After you have deleted old, unnecessary notes, make sure that those you have saved are in the notebooks they belong. Sometimes notes are placed in a book by mistake or are created in such a hurry that they fall into your default notebook when they belong elsewhere. Take the time to make sure each note is in its proper place and create new notebooks only if you feel it is necessary. Here again is a good time to rename notes where necessary. We all feel hurried at times. Sometimes we just want “scribble that note”, and think that we will move it later. But, you would not be reading this if your notes were organized already. Moving forward try to add your notes to the appropriate notebook at the time you create them to save yourself some time down the road. 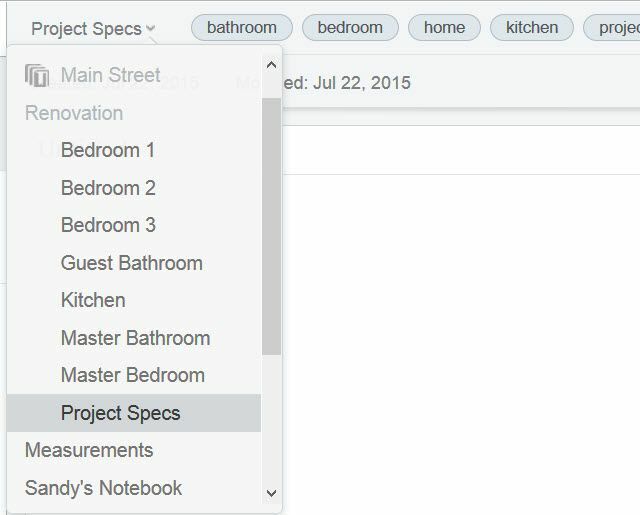 Tags are meant to help you organize and search, but they can get out of control just as easily as your notes. If you used the second option above for reviewing your notes, then you probably already spotted several tags that could be eliminated. Otherwise, take a look through your tag list and remove those unused tags that just take up space in your list. 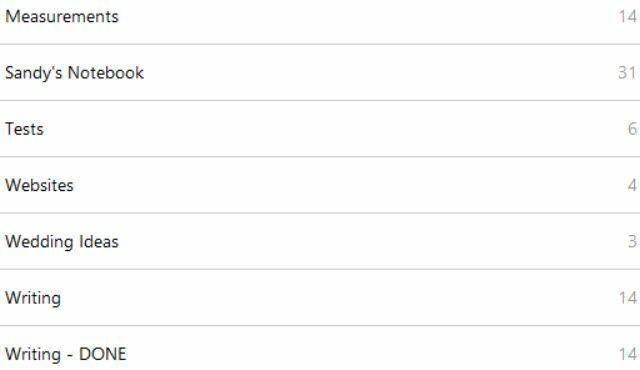 Now that you have rid yourself of unassigned tags, take a look at those remaining and see if they make sense. For example, do you see yourself continuing to use the tag you named “Math” or do you think that since this is your last year in college perhaps one named “Classes” would be more efficient? 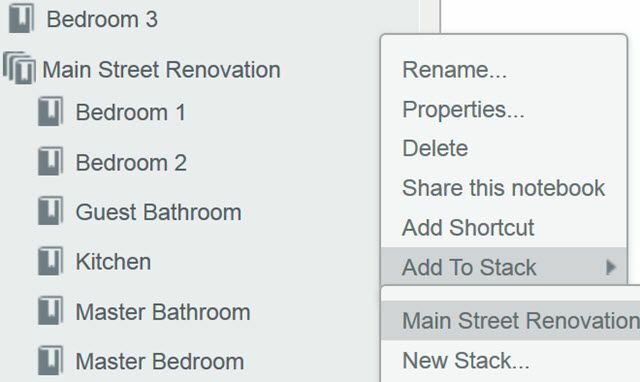 If you can consolidate some of the tags you currently use into a structure that makes more sense, then you are on your way to better organization already. One last time, check the naming conventions you have chosen and update them where it makes sense. Tags can be organized alphabetically. Use symbols such as hashtags, periods, and numbers to put them in an order that works for you. You might also find that you have been creating a new tag almost every time you created a new note. This is counterproductive. They are there to assist you in finding notes quicker and easier. So, moving forward be sure to review your list of tags for one that suits your note and use it instead of jumping into creating a new tag. 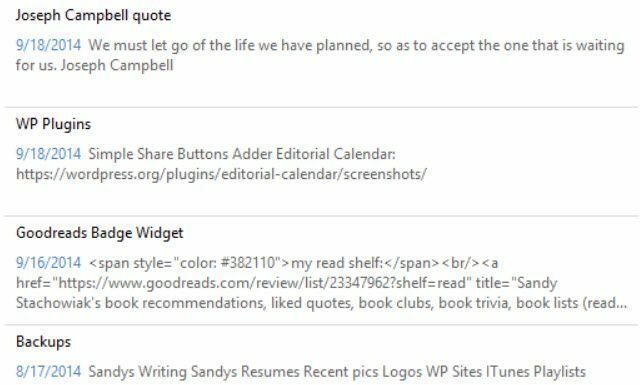 Popular productivity blogger Michael Hyatt believes that tags are the engines that power Evernote. He offers a glimpse into his own productivity system to inspire you to set up your own tag system. 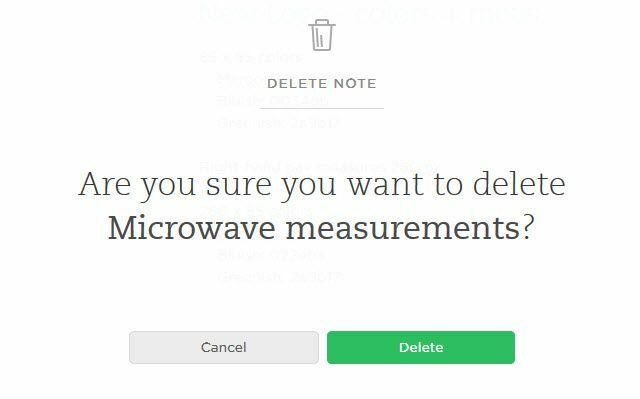 You have reviewed, cleaned, and organized all of your Evernote items. Good for you! Now it is time for a final check before announcing that you are done. And, if you cleaned and organized well, this final review should take very little time, right? First, look through your list of notebooks just to be certain they are the ones you need, they are tagged, and are all named correctly. Second, glance through all of your notes and do the same exact thing. Be sure you did not keep one unnecessarily, that they all have tags, and that they are also named correctly. Finally, take one last look at your list of tags to be sure there are no unassigned tags or names that do not make sense. After the work you just did getting your Evernote neat and clean, try to perform this same type of exercise every so often by using a handy feature of the tool. Create a note with a reminder to do a cleaning every month, quarter, or even once a year. If you follow the Tips for Future Use above, clean-ups down the road should go much faster and smoother. Remember, Evernote can get like that junk drawer, like it or not, so try to keep it better organized between cleanings and the next one will not take nearly as long. Plus, you have a better chance of finding the things you need in the meantime! Do You Have Suggestions Too? Are you a heavy Evernote user who has some other suggestions to share? Maybe you have a different, sure-fire way to keep notebooks, notes, and tags free of clutter. Please feel free to share your comments and suggestions below. We would love to hear from you!